Originally from Boston, Massachusetts, Dr. Weiner started practicing Adult and Pediatric Urology at the Boulder Medical Center in Boulder, Co, in 1988. After 22 years, he decided on a different practice and moved to the Lake Geneva, WI area in 2010 where he does his full complement of urologic practice at the Aurora Lakeland Medical Center in Elkhorn, WI. He received his medical degree from the University of Colorado, Denver, in 1983 and went on to complete his internship and residency at the the same institution. He was originally Board Certified in Urology in 1990 throught the American Board of Urology and has since recertified twice, most recently in 2009. Dr Weiner's specialty is devoted to the diagnosis and treatment of surgical and medical conditions of both the male and female urinary tract and with conditions of the male genitalia. . Urology is a dynamic specialty and has undergone many changes since he has completed his training in 1988. To stay current, he has taken extra training in urologic laparoscopy, lasers for the treatment of prostate and bladder conditions, and stone disease, shock wave lithotripsy for stone disease, microwave thermotherapy for prostate enlargement, radioactive sed implantation for prostate cancer, da Vinci robotic assist for the laparoscopic treatment of bladder, prostate and kidney cancer, and the use of slings in the treatment of both male and female urinary incontinence. He has a keen interest in clinical research and has been a principal investigator in may studies involving the prostate, erectile dysfunction, incontinence, and interstitial cystitis. He is an active participant in the tumor conference which is held monthly at his hospital. He is a staff physician at Aurora Lakeland Medical Center, Aurora Burlington Memorial Hospital, and Aurora Medical Center-Summit. 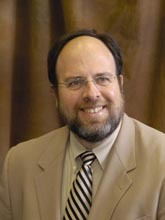 Dr. Weiner's spare time activities include fishing, bowling, tennis and making mmy wife and kids happy!. He is an avid baseball fan but has problems because he likes the Red Sox, Rockies, and now the Brewers.